As a mom of three active teens, you can often find me driving from one activity to the next. It is not unusual for me to stash trail mix in my bag to give me an extra boost as I am running errands, driving carpool or recovering from a tennis match. When I get hungry, it becomes pretty apparent. Starting from the beginning of our relationship, my husband always said as long as I have snacks I am a nicer person. I’m sharing an organic trail mix recipe for adults on the go and Organic Honest Tea® to compliment it. Coming up with a trail mix recipe that adults will enjoy can be a challenge. 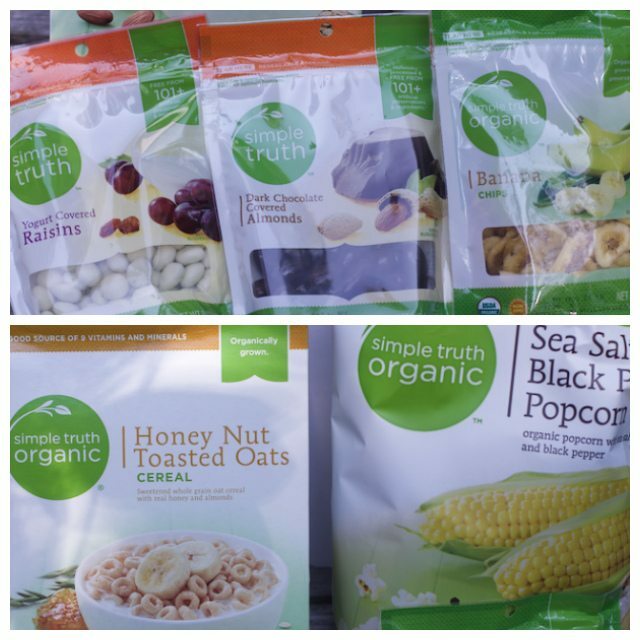 When I saw all the Simple Truth® easy snack food products at Kroger, my mind started to erupt with ideas. Since I’m a busy mom with a hearty appetite, I need to fill myself with snacks. As I am sitting at the car shop waiting for an oil change, I wish I had packed a baggie of this trail mix recipe. I don’t know about you, but when it comes to snack ideas, a mixture of salty and sweet is usually the route I choose. It was hard to make a decision but in the end sweet and salty won. I prefer to make my own snack mix since I can read the labels on each ingredient. Prepared snack mix is also pretty expensive and if you want to go the organic route, you will be paying a lot. Trail mixes are really easy snack recipes anyone can make at home, so let’s get started. Any good trail mix snack is basically a yummy combination of flavors that make your taste buds dance and distract your stomach from hunger. Trail mix recipes have just a few main components and have a combination of the following in each generous handful. Mix together. The nuts and raisins are pretty heavy so they will drop to the bottom of the bowl. This recipe made enough snacks for a crowd. Thinking of some busy women in my life, we decided to package some bags of this sweet and salty trail mix. 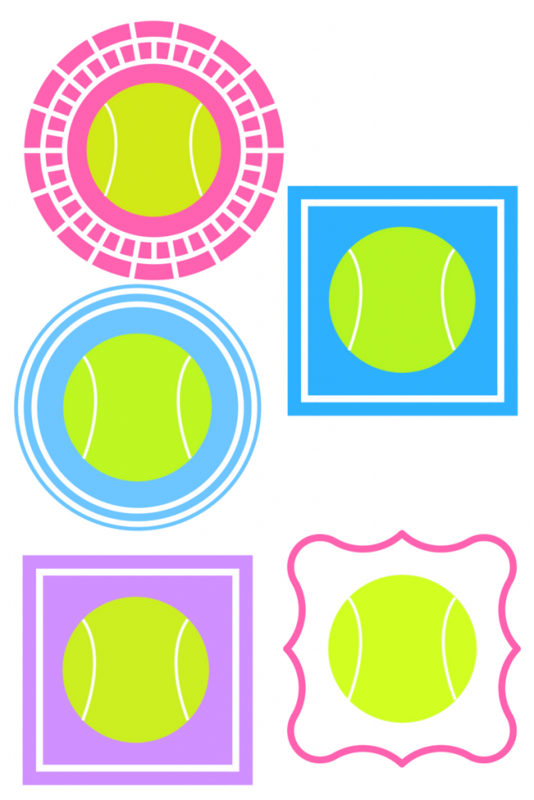 Knowing I was headed to watch my friends play tennis, I made this free tennis bag printable for you to share. 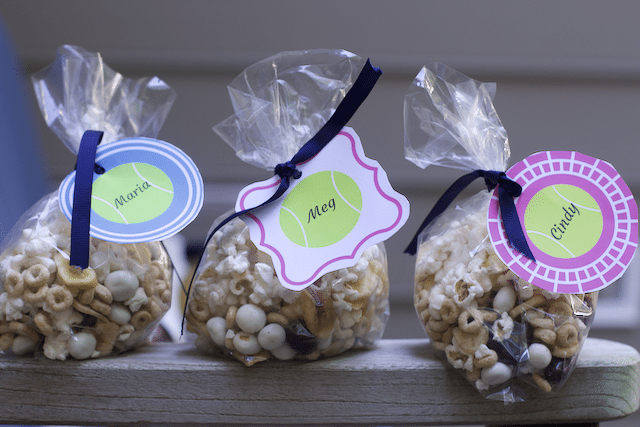 Simply bag up your delicious trail mix recipe in cellophane bags and tie them off with the tags. Of course, every good snack needs a yummy drink to go along with it. 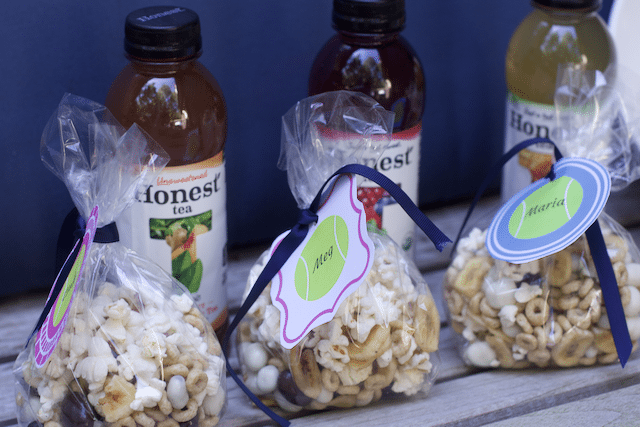 Pair your trail mix with a bottle of Honest Tea. This is the perfect choice if you like to drink tea just a tad sweet or unsweetened. Honest Tea is brewed with real ingredients. A cold tea and a sweet-salty mix will make any person on-the-go constantly a little happier and definitely left with a satisfied tummy. 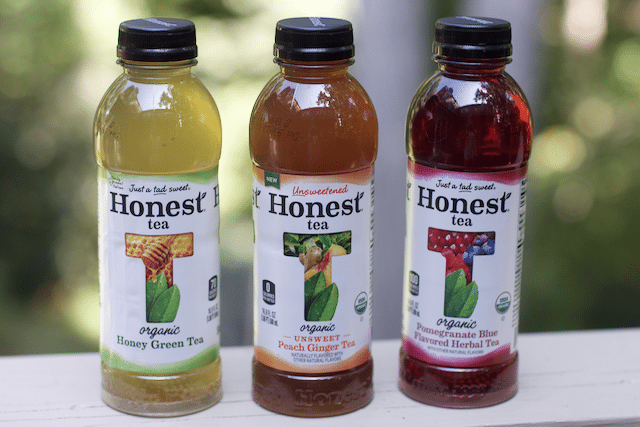 Honest Tea stands for Honesty and Transparency – from the way their ingredients are presented to their efforts to help make the earth a better place. Just take a sip and taste the honest difference. Be sure to pin this for your next snack craving. Pin this for a great snack idea. 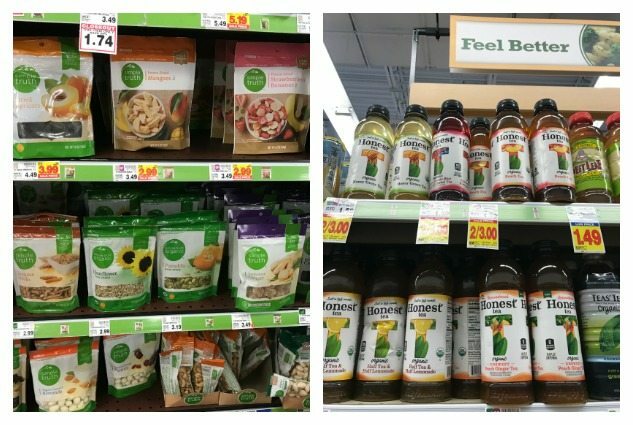 For more great Honest Tea recipes and project inspiration go here! 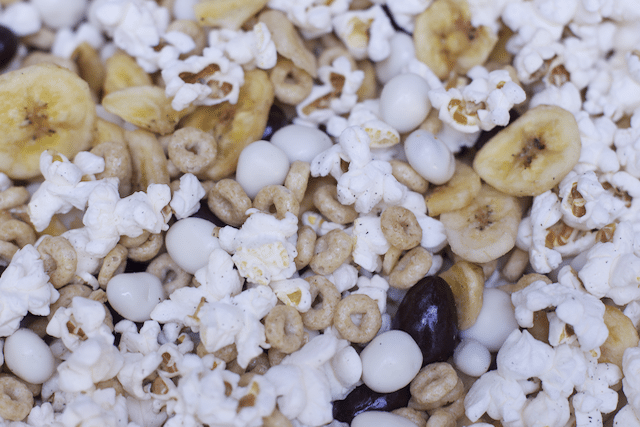 Who will you share this easy trail mix with? I am going to be sharing my trail mix with my family. We are on the run every day and sometimes we snack on unhealthy snacks just because of the rush. 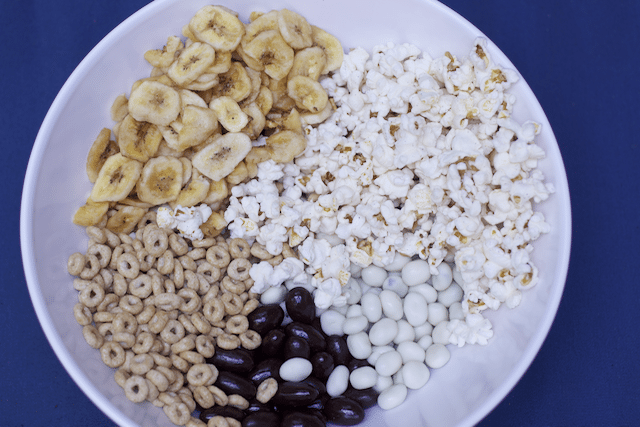 I need to have better snacks prepared to go like this mix! Yes, kids can help pick out their ingredients and will more likely eat the trail mix. Of course, dark chocolate and almonds are both good for you right? Ah, trail mix! And trail mix the way that YOU want it. Nothing beats being able to put every single ingredient you enjoy into trail mix and knowing that you will have nothing left after you eat! I love making my own as well, and personalizing it for each palate. Makes for better snacking for sure! 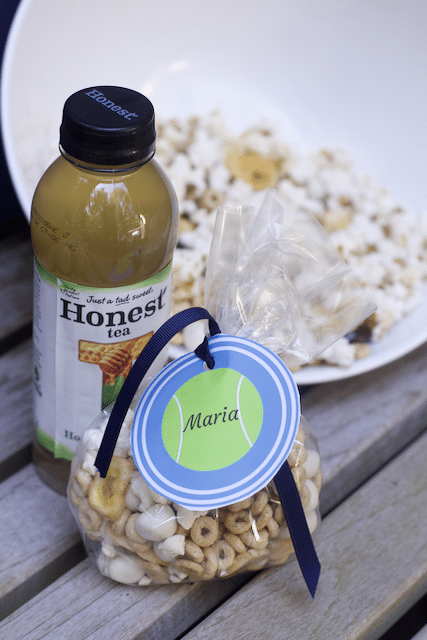 I love making new trail mix ideas, this is perfect and I am forever grabbing the Honest Tea. There’s a cranberry one I do believe it is that I LOVE and cannot resist. Thanks for a great snack idea for me to whip up for soccer season when I am on the run a ton! I’m all for a less expensive way to have my trail mix indulgence. My youngest can even help me. Sweet and salty – you had me right there! I love that flavour combination and the addition of pepper is fantastic! These are great trail mixes! I like that you suggest adding Dark Chocolate Covered Almonds. Yummy! 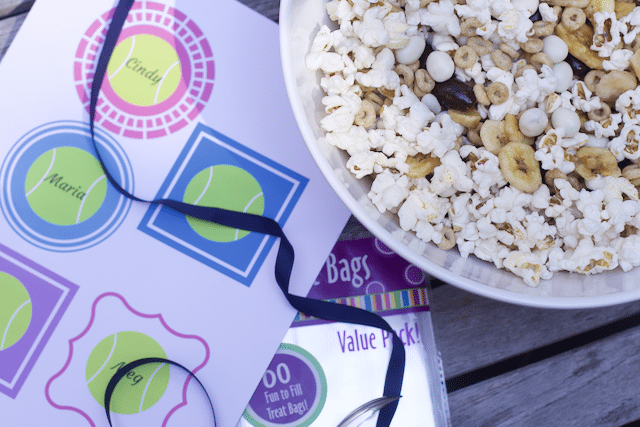 I am always looking for a great trail mix to take in the car or throw in my gym bag! Love this one! This sounds delicious and perfect for my hectic afternoons. I’m a big fan of salty and sweet combos!